Laguna Beach - the TV show that brought fame to Miss Lauren "LC" Conrad. 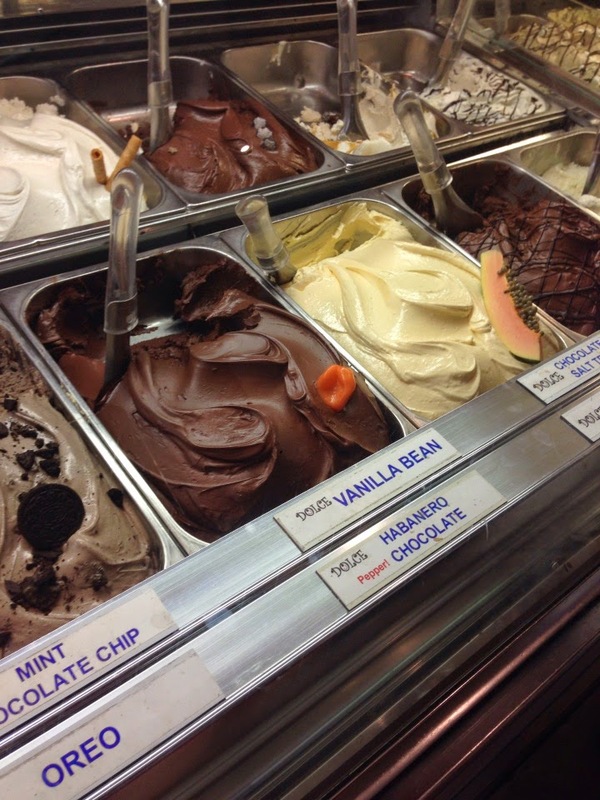 As of 2010, Laguna Beach is also home to the Habanero Chocolate gelato! You should definitely try out such an odd combination. The first bite is chocolate....and then your tongue is left with a spicy sensation as if you just had a bite of scorching hot chili pepper. Honestly though, I didn't think I could handle a whole serving of Habanero Chocolate, so I settled for boring but super refreshing, Pink Guava. 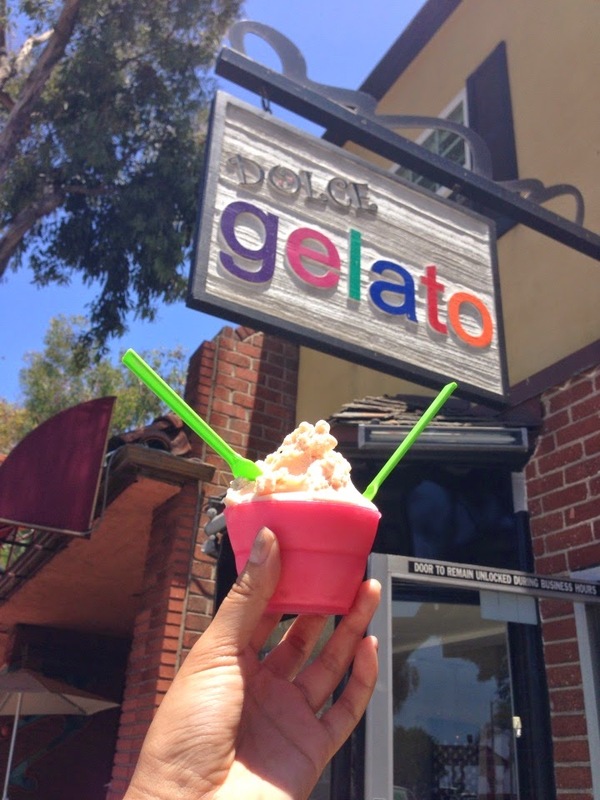 I was allowed two flavor choices, yet stuck with one because I don't believe gelato's mixes well with other flavors like regular ice cream does. Stand out flavors I was fascinated with include Ferrero Rocher, Chocolate Sea Salt Truffle, Sangria, Fresh Sage, and Champagne Pear. P.S. 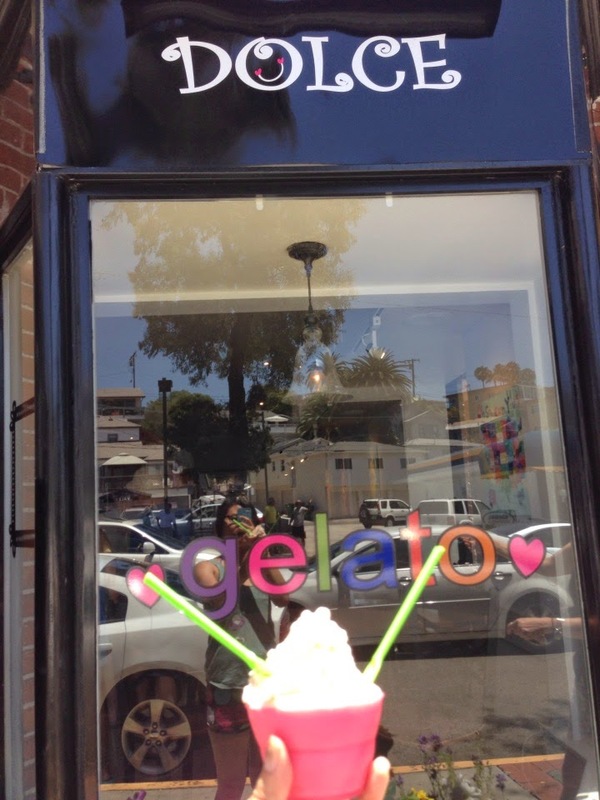 Eating gelato after a day at the beach is the best thing ever! From the outside it looks like a shoe boutique!